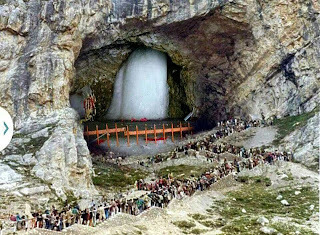 Amarnath cave is a Hindu shrine located in Jammu and Kashmir, India. It is dedicated to Shiva. The cave is situated at an altitude of 3,888 mtr about 141 km from Srinagar, the capital of Jammu and Kashmir and reached through Pahalgam town. The shrine forms an important part of Hinduism and is considered to be one of the holiest shrines buy Hindus. The cave is surrounded by snowy mountains. The cave itself is covered with snow most of the year except for a short period of time in summer when it is open for pilgrims. 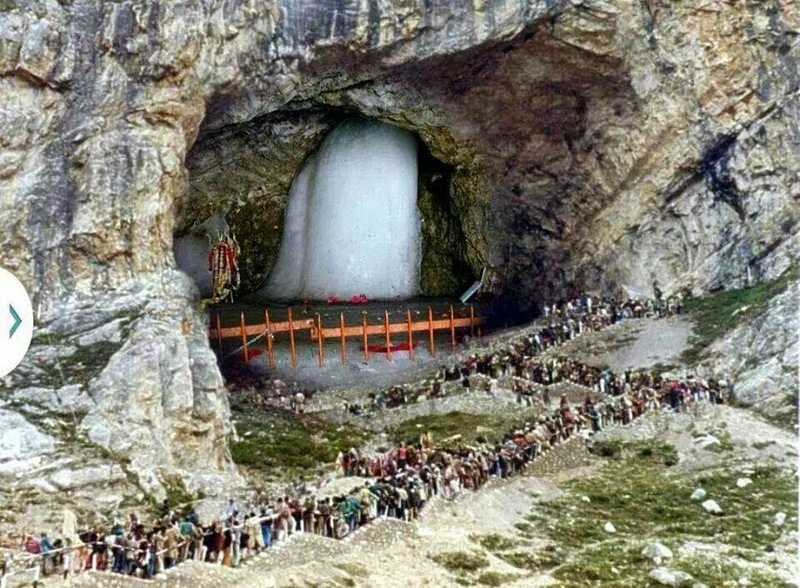 Thousands of Hindu devotees make an annual pilgrimage to the Amarnath cave on challenging mountainous terrain to see an ice stalagmite formed inside the cave.